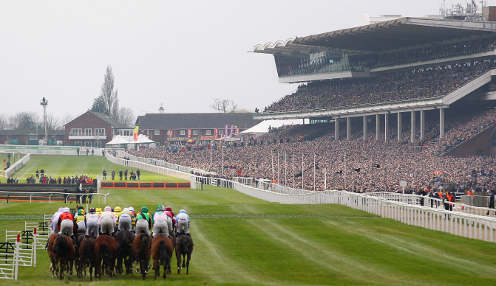 To celebrate the greatest show on turf, we’re giving our followers the chance to win £50 in Bet Credits by predicting the #bet365LongShot for each day of Cheltenham Festival 2019. To be in with a chance of winning the prize, simply tweet @bet365 or comment on our Facebook post with the horse you think will be the longest priced winner during each day's live televised racing on ITV – including the #bet365LongShot hash-tag. All correct entries will be added to our random prize draw. Along with this great competition, we've got a wide range of betting opportunities available for Cheltenham Festival 2019. - Entrants must be 18+ and follow @bet365 on Twitter or Like the bet365 page on Facebook. - Entries will be accepted up until 5 minutes before the scheduled time of the first live race on ITV. - Entries require the #bet365LongShot hash-tag and one clear prediction to be valid. - Prices will be determined by the last prices offered pre-race by bet365. - Winning entry will be determined by the horse who wins at the longest price for each day’s televised racing on ITV at Cheltenham. - The winner will be announced after the conclusion of each days racing at Cheltenham. - If there are multiple correct answers (including across multiple races, if the SP of 2+ winners is the same), all correct entries will be placed into a random draw and one winner will be announced.